"WALLY is one of my favourite stores. There's no place where such cool labels, and the wonderful collections of Lena Hoschek can be found brought together with so much flair. I already wish for a WALLY in Vienna!" "Stylish shopping in a terrific location directly at the waterfall in Bad Gastein. The always lovingly and extravagantly decorated store of cool lady boss Bettina Schuh invites you to linger and discover. Stylish consultation in designer ambience on a stylish level, always with a wink, and a glass of prosecco." "Bettina Schuh is one of those people you can’t help but instantly fall in love with. A woman so vivacious and charismatic, with a smile bigger than Austria itself. Meeting Bettina was one of the highlights of my recent trip to the little Austrian Alpine village of Bad Gastein. It was there that I stumbled across her beautiful fashion store right in the centre of town. Wally, as it is called, was such an unexpected delight to find. 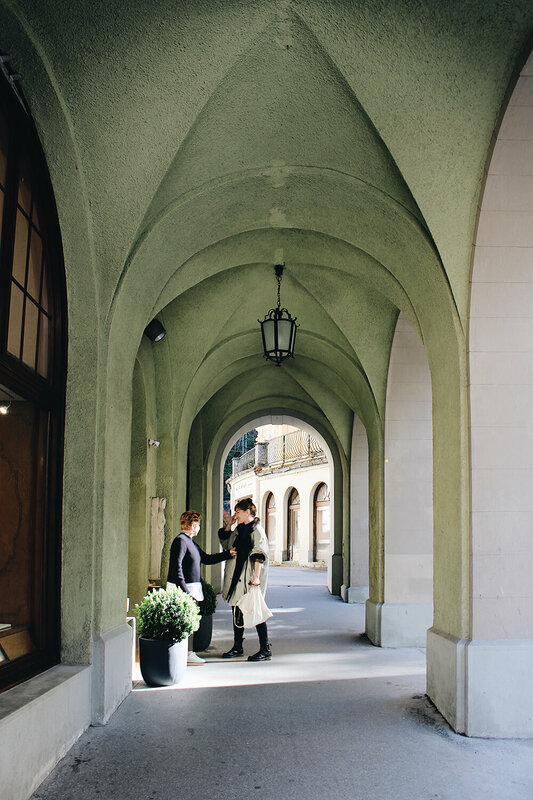 Housed inside a stunning Belle Epoque building (like much of the rest of Bad Gastein), Bettina has hand-picked a perfect selection of local and international brands - basically anything she likes and would wear herself - all of the utmost quality and style. On my first visit, Bettina greeted me at the door with her big, infectious smile and a quick offer for a drink from her charming in-store bar. Bettina truly epitomizes all things style and glamour, and I would have never in a million years expected to find such a high-end shopping experience in such a little, under-the-radar town. It is an experience not to be missed on any visit to Bad Gastein."